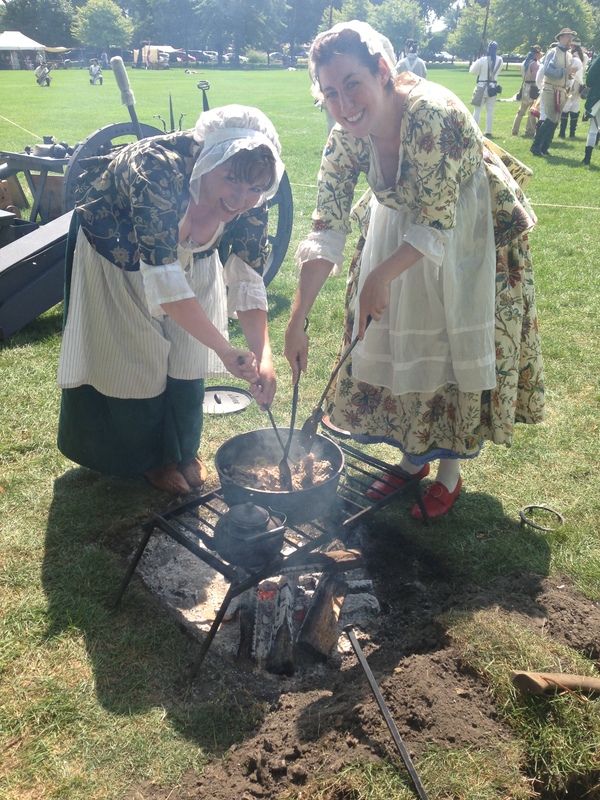 Demonstrating 18th Century Cooking for Highlanders: Rowenna Hamper (right) and Myself (left), Highland, IN. 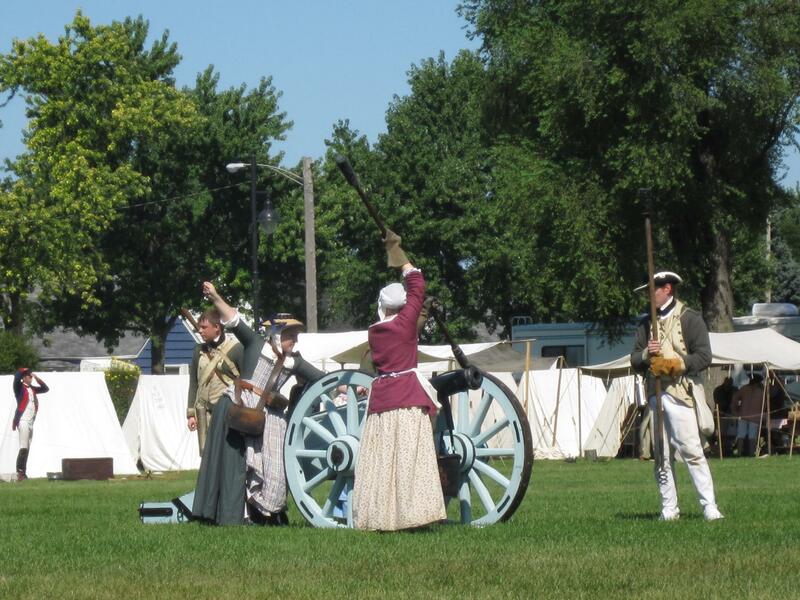 Our Revolutionary War Reenactment in Highland, Indiana is this weekend (August 15 and 16) and you should be there! Okay, I guess I should rewrite that: If you live in the Chicagoland area, Highland is just east of Chicago and may even be considered a suburb. Oh wait…it’s south of I-80. That’s the deep south. Nevermind. In all seriousness, it is pretty close by the city, so if you’re a Chicagonian and you’re interested in American history, you should come out. Admission is free and we’re very easy to find. We’ll be at Main Square Park (3000 Highway Ave, Highland, IN). And if you’re a Rev. War reenactor, and you don’t have a schedule conflict, we really hope you show! Highland might be one of our smaller events, but we always have a great audience. Highlanders ask great questions and really want to learn from us…in fact, I talk to way more public at our Highland event than I do at any of the others. And since educating the public is basically our main mission, I think the event is worthwhile. In fact, I wrote a blog post about this very subject in 2013: With Responsive Spectators, Why Skip Highland? Also, Saturday morning has a great farmers market in the very same park, and they always have an excellent cheese stand with the most amazing variety of delicious cheeses. Next Next post: Weather, or Not?